Our scholarship program is designed to provide funding to survivors who want to continue their education through technical school, vocational school, junior college, or a four-year college or university. For more information on how to apply for the FOS scholarship, please send an e-mail to Barbara Bailey. Applicant must be a cancer survivor or currently receiving treatment. Applicant must be enrolled in or accepted for enrollment in an accredited undergraduate or graduate school. The applicant must complete the scholarship application including a signature. Incomplete applications will not be considered. 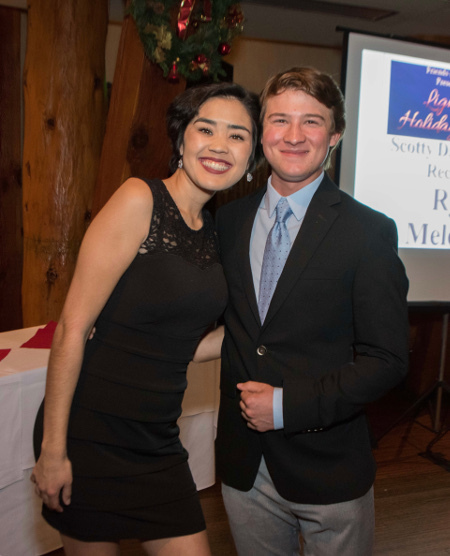 Scholarship recipients must submit a release form stating their photos and success stories can appear on the Friends of Scott website. Applications are reviewed and evaluated by the Scott Delgadillo College Scholarship Committee. All selections made by the committee are final. The Friends of Scott Foundation is not responsible for applications that are lost, misplaced, or delayed through the mail. The application is confidential and becomes the property of the Friends of Scott Foundation. Photo to be used in Friends of Scott Publications if you are chosen as the 2019 recipient. Application packet must be postmarked no later than August 31, 2019. Only include items requested. Do not staple your documents. Scholarship funds may be used for education related expenses, including tuition, books, school supplies, room and board, or transportation. Scholarships Winners will be notified by October 1st, 2019.